Chennai Press Club condemns the behavior of Banwarilal Purohit in a statement requested an apology during the press conference as ‘unbecoming conduct’. Banwarilal Purohit, Tamil Nadu Governor triggered on Tuesday a controversy after patting a journalist without consent on her cheek. The Journalist said it as ‘Unprofessional behavior’ on Twitter and detested being touched by a stranger without her consent. Touching a woman journalist while attempting to evade a question was not considered a right action. The woman journalist works for an English Magazine and she said ‘I asked TN Governor Question on his press conference and he pats me without my consent on my cheek as a reply’. Ironically, this incident took place at a press conference organized by the 78-year- old Governor as his name was associated with a Tamil Nadu teacher allegedly arrested for asking students to do for a senior university official some sexual favors. The journalist said, ‘I washed my face several times and am unable to get rid of it, I am angered and agitated by Mr. Banwarila Purohit, TN Governor’. 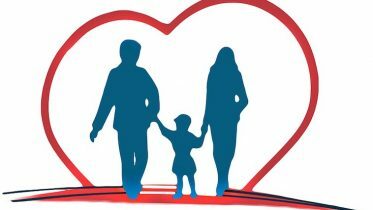 It may be a grandfatherly attitude and can be regarded as an appreciation act, but the Journalist did not appreciate this act and said it was nothing but ‘unprofessional’. Touching a stranger is wrong and especially a woman is condemning. The Chennai Press Club demanded an apology from the Governor as the Journalist did not like this behavior. It may be seen by Purohit as a parental gesture from an elderly man, but Journalists across India have demanded an apology. Nearly 200 journalists have asked Mr. Purohit to assure he will not violate journalist’s rights in future. 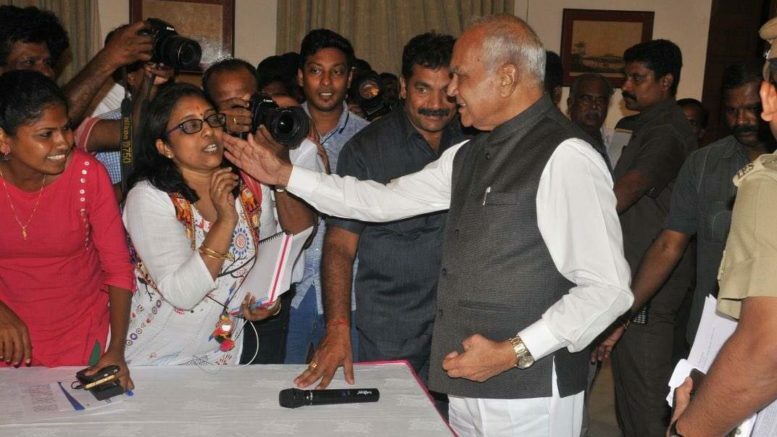 Be the first to comment on "Banwarilal Purohit, TN Governor Breaks Decorum By Patting Woman Journalist On Cheek"